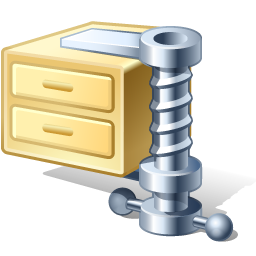 A compression software is used to compress large files into one small file. This help us to send and store large files. This is very helpful if you want to send many files to someone on internet or send as attachment via mail. We all know about WinZip and WinRaR compression software. No doubt these two are excellent compression tool, but these are paid softwares. Here is list of some good free compression software / tools. 7-Zip is open source software and works on Windows 7 / Vista / XP / 2008 / 2003 / 2000 / NT / ME / 98. Zipeg is a universal free file opener for .zip and .rar files. With just a click you can open a file and see what is inside. Open Source file and archive manager: flexible, portable, secure, and free as in freedom. PeaZip allows to create, convert and extract multiple archives at once, create self-extracting archives, bookmark archives and folders, apply powerful search filters, scan and open files with custom applications, apply strong encryption, split/join files, secure data deletion, calculate checksum and hash. IZArc is the best way to extract zip, rar and many other archives for free. With a modern easy-to-use interface, IZArc provides support for most compressed and encoded files, as well as access to many powerful features and tools. It allows you to drag and drop files from and to Windows Explorer, create and extract archives directly in Windows Explorer, create multiple archives spanning disks, creating self-extracting archives, repair damaged zip archives, converting from one archive type to another, view and write comments and many more. IZArc has also build-in multilanguage support.